Note: A minimum quantity of 24 must be ordered, and in units of 1 thereafter. 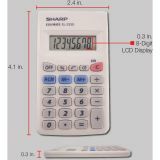 Sharp EL233SB Pocket Calculator, 8-Digit LCD - Eight-digit pocket calculator features a large LCD that provides a crisp, clear display to help prevent reading errors. 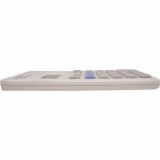 Its compact size offers convenient portability to ensure it's always within quick reach. 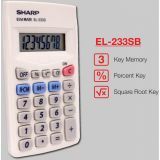 Durable keys are appropriately spaced for fast, accurate data entry. 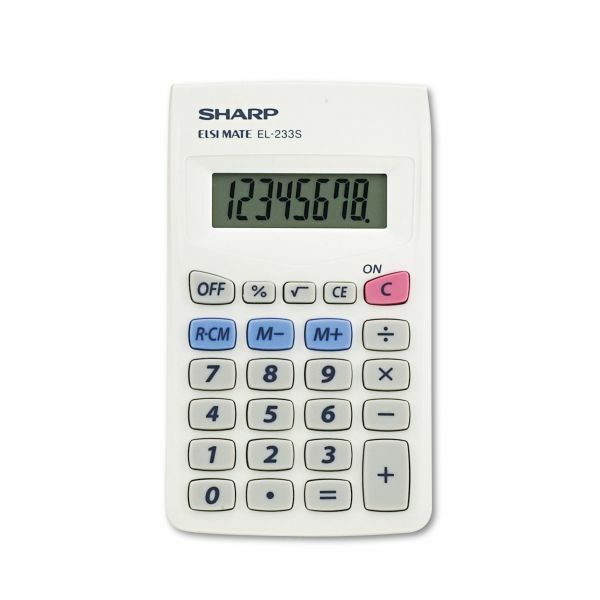 Battery-operated design ensures consistent performance no matter where you're working. 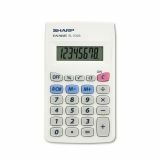 Calculator also includes percent key, square root key, three-key independent memory and automatic power down.